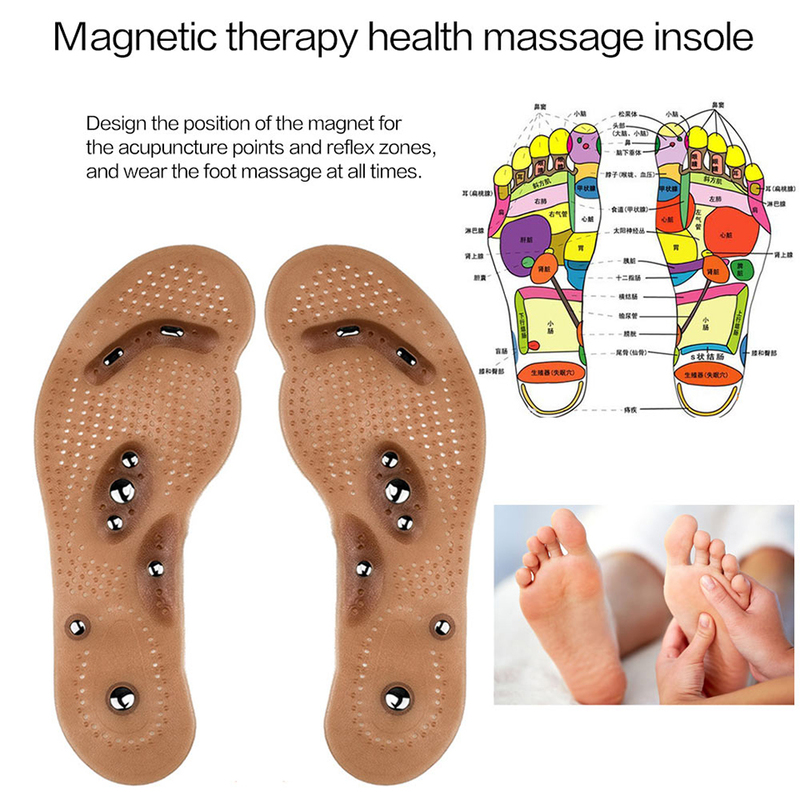 Pain Relief: The 8 magnets are arranged follow by acupoint theory, massage the soles of the feet continuously to anti-fatigue, relax muscles and and help restore chronic lumbar sprains. Durable, size optional: Male length: App 30cm US code 42-46, you can change the size according to the existing winding line, easy to get the size you need. 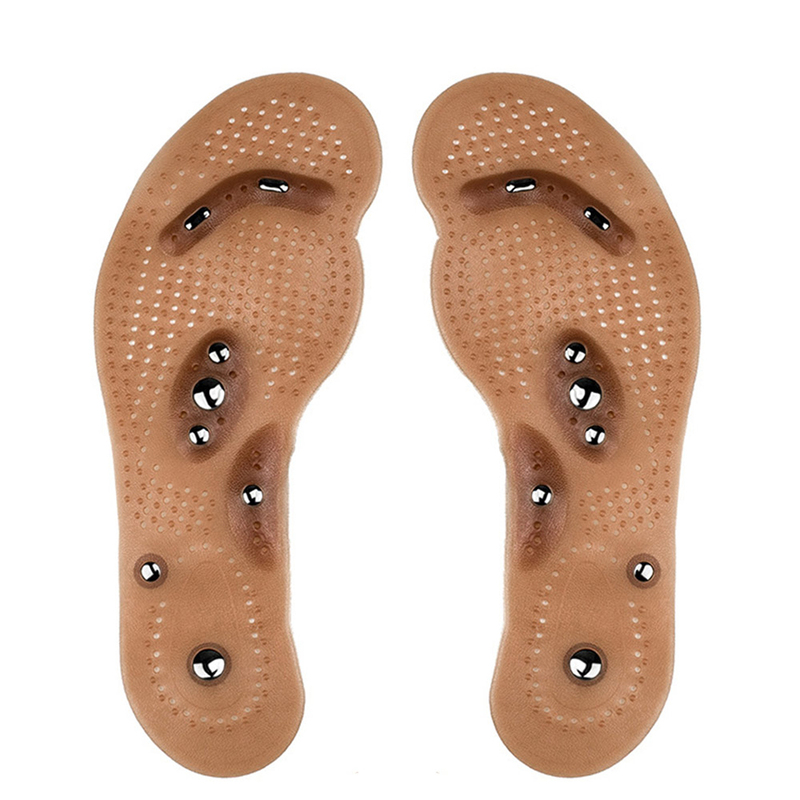 The insole is made of durable silicone. It can be washed with water and reused many times. It is more environmentally friendly. 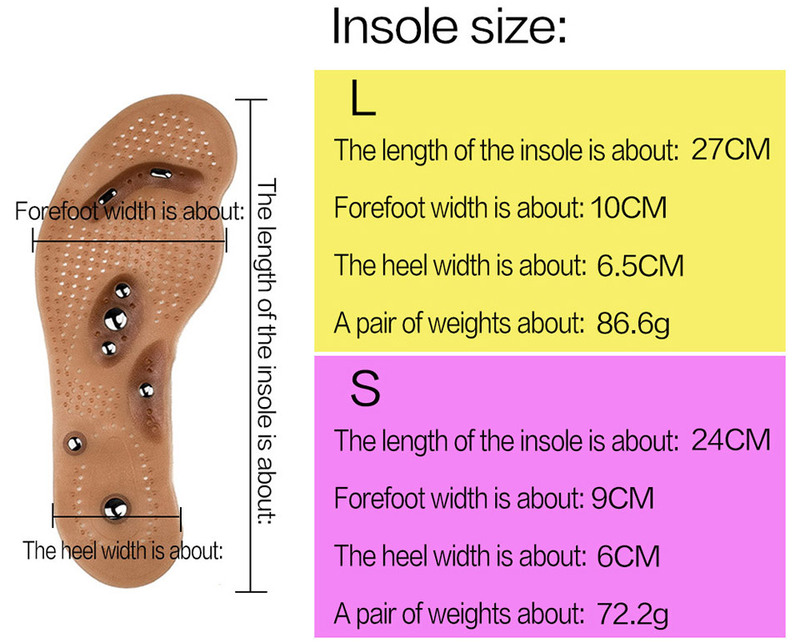 Breathable, non-slip: The insole has anti-slip bumps on the front and back of the insole to effectively prevent the insole and foot from slipping. 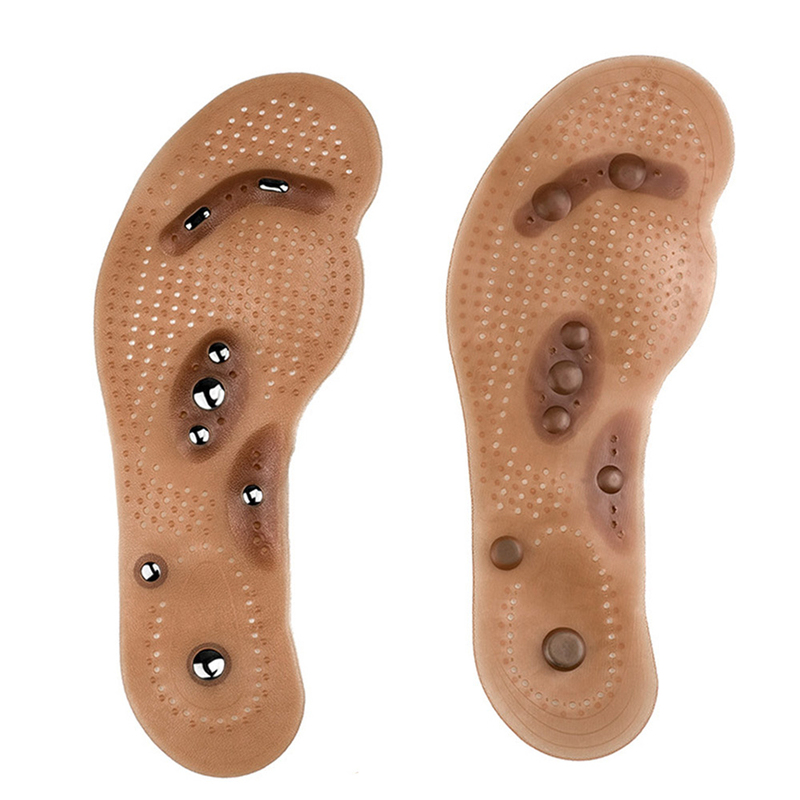 There are numerous breathable holes in the bottom of the insole to prevent foot odor, sweat, and athlete's foot. 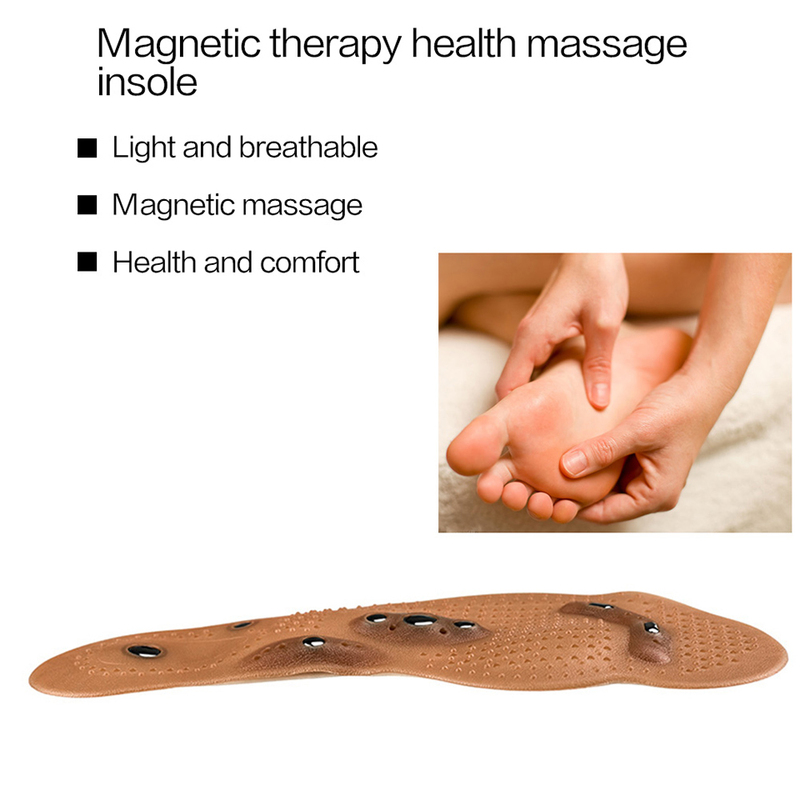 The pillars formed by magnets and silica gel massage your soles while walking, promoting blood circulation and just like making you walk on cobblestones. while, it can strengthen the meridians and meridians, reduce the pain of low back pain, rheumatism. 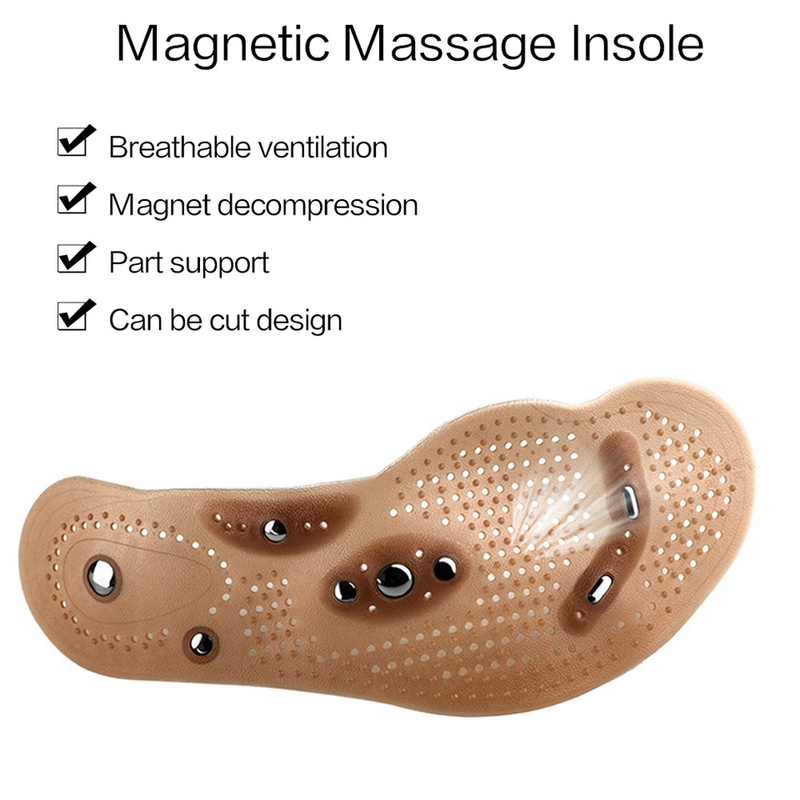 The magnet can release magnetic waves, Lose weight when you walking with magnetic insoles. 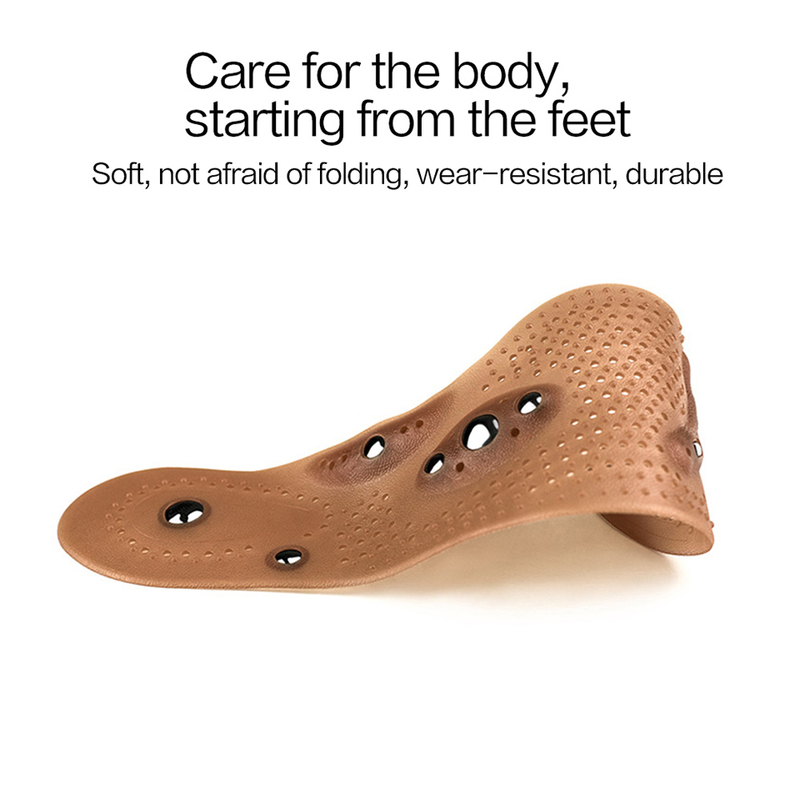 When you long time walking and standing with a massage insole, it can help you form a healthy and comfortable walking posture. 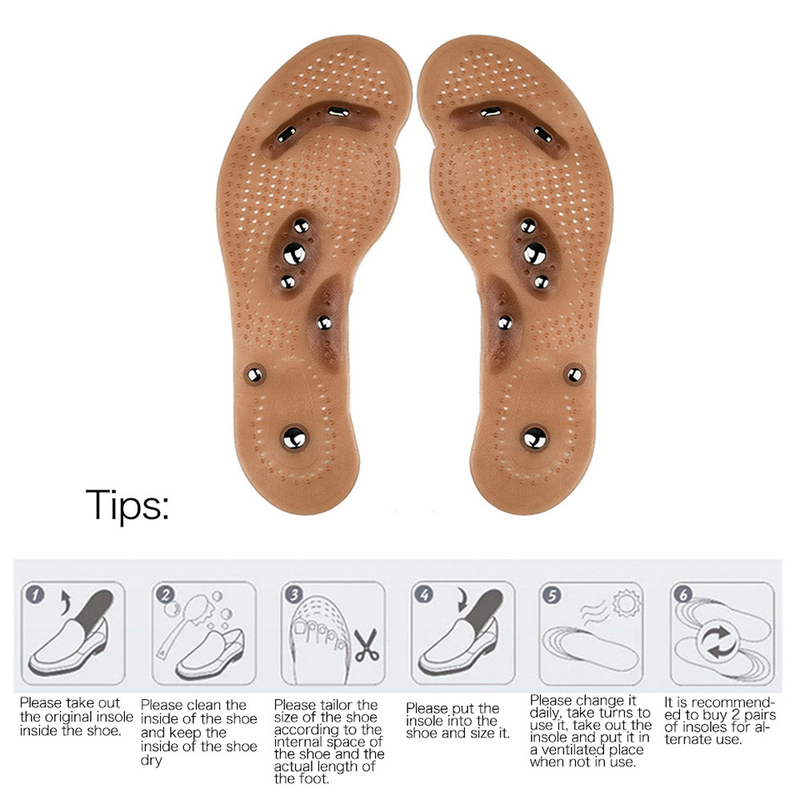 For elderly people or people can not walk, please sit on chair and put insoles on carpet, then rub your feet on. 3.Because of long-distance transportation, the product will have an odor. Please air dry in the sun for 1-2 hours. Kindly Notice: You can change the size by cutting according to the available curl line if necessary.